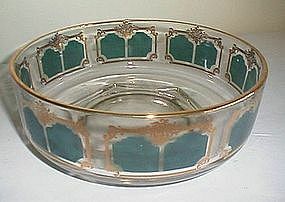 A nice trinket dish depicting Curion, Governor of Syria. 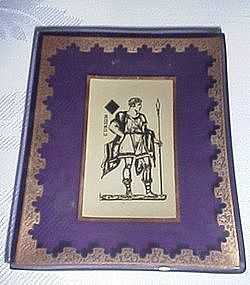 Excellent condition, measures about 4 3/4 x 3 3/4". 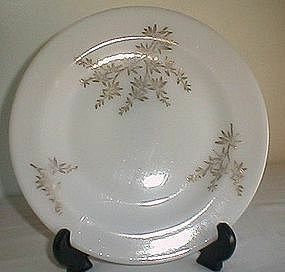 Vintage Avon Daisy and Button pattern Fan trinket or snack dish. 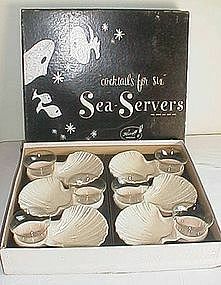 Karoff Originals LTD Fifth Avenue NY, Set of 6 Sea Server seafood cocktail servers. 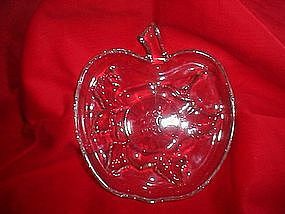 Plastic shell shape servers with glass inserts by Federal Glass for cocktail sauce. 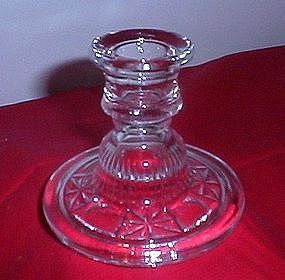 Kig glass taper candle holder,excellent condition. About 3 3/4" diameter, 1 1/2" tall. 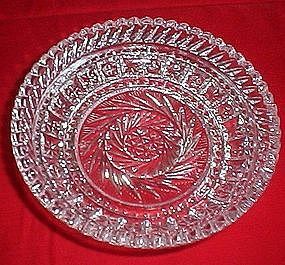 25th Anniversary glass plate, Silver 25 Anniversary in center, surrounded by laurel, silver around the outside edge. 8" diameter, great condition. 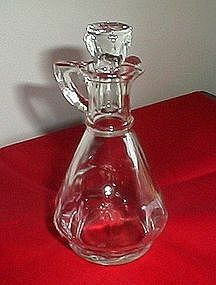 Unknown Manufacturer. 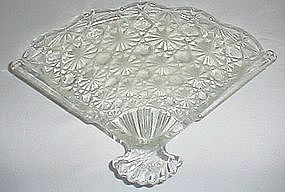 Pinwheel pattern glass bowl, has two pinwheel or buzz saw patterns on the bottom, sawtooth edge, two different small star patterns around the sides, great condition, about 5 1/2" diameter. 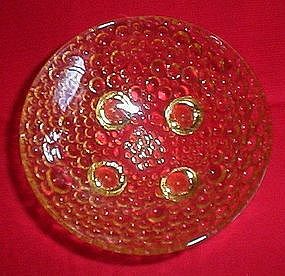 Yellow four-footed bowl, has various sizes of bubbles on the bottom, about 4 1/2" diameter, great condition. 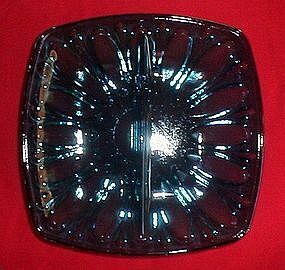 Unknown maker, blue pattern glass divided candy dish, excellent condition, about 7" square. Long "thumbprint" looking impressions with teardrops in between. 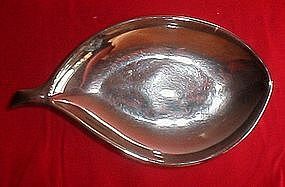 Gorgeous silver leaf shape candy dish, the bottom has leaf veins and silver coating of some type, maybe mercury. Good condition, has a few wear marks on the bottom. About 8 3/4" long including stem, about 5" wide. 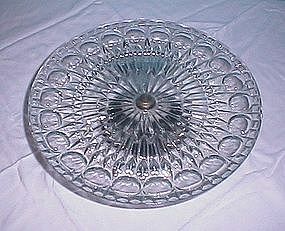 Great condition describes this Leonard Silver Plate Pedestal Cake Stand. 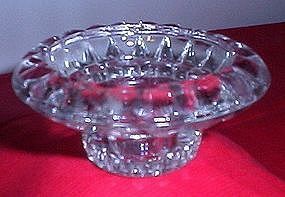 It stands 3" tall, the glass plate is 11" diameter. 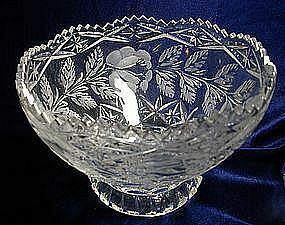 Beautiful crystal bowl, etched roses with leaves, stars and criss-crosses, sawtooth scalloped rim, 4 1/4" tall, 6" diameter. Excellent condition. Great display piece! 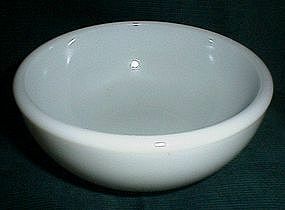 Pyrex #35 5 1/2" bowl, excellent condition. 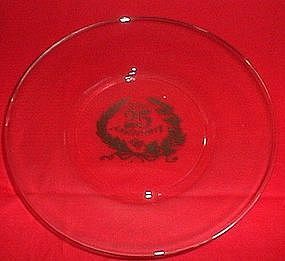 Pyrex Tableware Restaurant saucer. 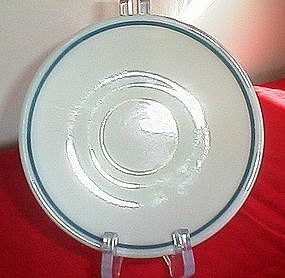 Turquoise band, 5 3/4" diameter, excellent condition.